Hey, it said so on the sign. Now give me som aspirin. When I said it's a drive-thru, I didn't mean it literally. 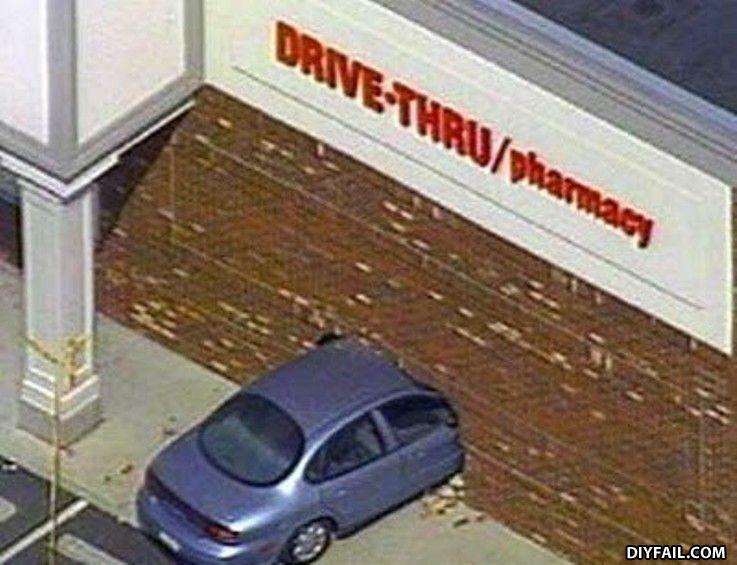 Hey it said I can drive thru on the sign, now I want dem pillz here! omg i actually laughed at a picture on this site, i still cant believe it. what did the white man say to the mexican man when the mexican stepped in poop?